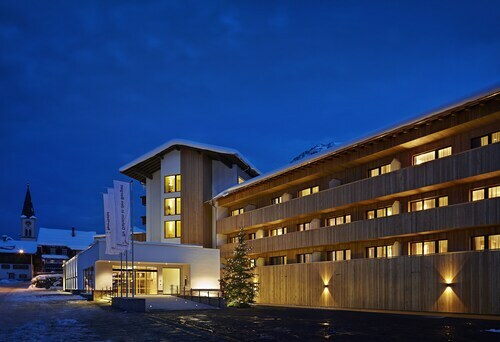 Located in the mountains, this ski-in/ski-out hotel in Sankt Anton am Arlberg is within a 15-minute walk of Museum St. Anton and Galzig Cable Car and close to winter sports such as cross-country skiing and skiing lessons. Nasserein Ski Lift is 1.2 mi (1.9 km) away. St. Anton am Arlberg Station is 15 minutes by foot. 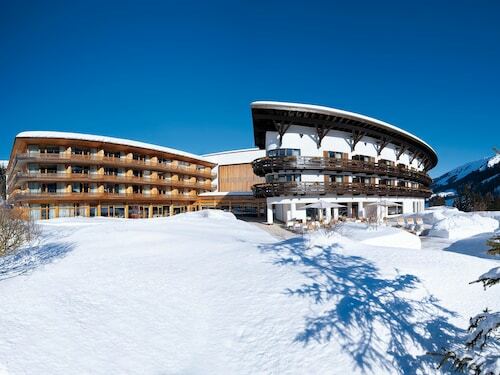 Located near the slopes, this Mittelberg hotel is in the mountains, 1.1 mi (1.7 km) from Walser Museum Riezlern, and within 6 mi (10 km) of Breitachklamm and Sollereckbahn. Oberstdorf Ski Resort and Erdinger Arena are also within 9 mi (15 km). Situated in Feldkirch, this hotel is 0.4 mi (0.6 km) from Schattenburg Castle and within 12 mi (20 km) of Liechtenstein Art Museum and Vaduz Castle. Jewish Museum and Brandnertal are also within 25 mi (40 km). Feldkirch Station is 7 minutes by foot. 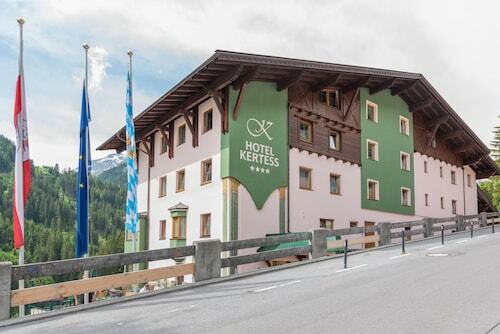 Located near the slopes, this Gaschurn hotel is in the mountains, within 12 mi (20 km) of Versettla Gondola and Alpine-Coaster-Golm, and close to winter sports such as cross-country skiing and skiing lessons. Hochjoch Ski Area and Sonnenkopf Ski Resort are also within 32 mi (52 km). How Much is a Hotel Room in Braz? Hotels in Braz start at $106 per night. Prices and availability subject to change. Additional terms may apply. There are a number of rooms on Travelocity to weigh up when you are dreaming about your holiday in Braz. If you are dreaming about making memories in Braz, Travelocity contains no less than 11 hotels within a short drive of the town's heart. Even though Braz can't boast to having a massive range of Travelocity-listed rooms within a short walk of its central precinct, Gasthof Rössle is central enough to be suitable for most visitors. The Hotel Tannbergerhof is situated 12 miles (19 kilometers) from the downtown precinct of Braz. Also, the Kristiania Lech is located 11 miles (18 kilometers) away. The Hotel Brunnenhof and also the Omesberg are other alternative accommodation options worth checking out around Braz. 25 miles (41 kilometers) from Braz, you'll reach Bregenz, where you can explore Kunsthaus Bregenz and Pfander. Some Travelocity-listed Bregenz lodgings include the Hotel Weisses Kreuz and Seehotel Am Kaiserstrand. 18 miles (29 kilometers) to the north of Braz, you'll find Andelsbuch, home to the Hotel Hirschen Bezau and die Sonnigen. The Andelsbuch Mountain Railway and Bregenzerwald Workroom are some of the most frequented attractions to discover in Andelsbuch. If you are passionate about sport and enjoy the thrill of local clashes you might like to spend the day at Birkenwiese Stadium, located 20 miles (33 kilometers) to the northwest of Braz. 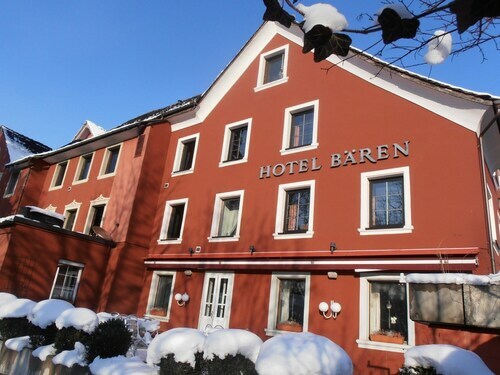 Find a Travelocity-listed room right near the action at the Hotel Restaurant Hirschen Haselstauden or the Four Points By Sheraton Panoramahaus Dornbirn. St. Gallen - Altenrhein Airport is a primary airport for those flying to Braz. It is 30 miles (47 kilometers) from the town center. If you would prefer to stay nearby, try the Hotel Heiden Swiss Quality or Best Western Hotel Rebstock.